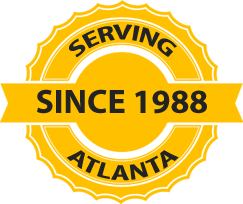 Since 1988, locally owned Atlanta roofing specialists, AtlantaRoofing.Com, has provided the expertise to help residents with roof repair or roof replacement in Atlanta. We bring a strong work ethic to each and every one of our projects and utilize the latest innovation and technological advances. We have discovered that most roofing contractors do not replace the step flashing and/or counter flashing when replacing your roof. At AtlantaRoofing.Com we replace the step flashing and/or counter flashing as needed at the time that we replace your roof to ensure the best possible roof replacement. AtlantaRoofing.Com provides a 10 year one time-transferrable no leak warranty. The manufacturer has a separate shingle warranty. You receive a low price estimate. It appears that you’re getting a great job for a low price. The contractor makes promises of what they will do for that low price. You may have gotten the low price, but you also acquired the headaches to go with it. ​Thank you for considering AtlantaRoofing.Com. To schedule your FREE roof inspection give us a call at 770-381-2144.